I am so excited to be driving up to Scotland today to go to T In The Park! I can't believe that we are actually going - it feels like we have been planning and had it booked for ages!! 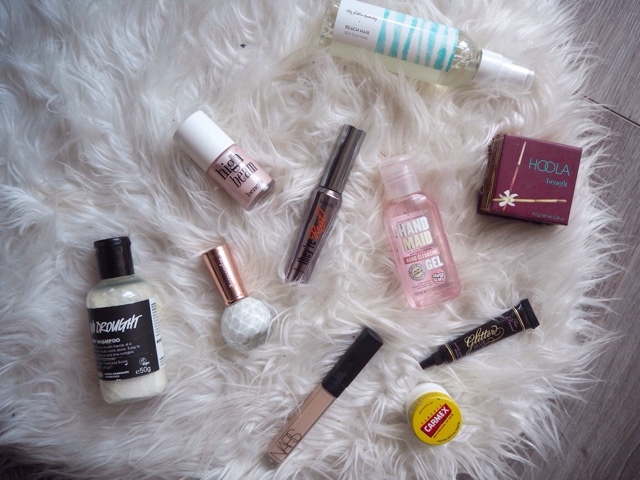 As a makeup and beauty obsessive, I was sure to pack all of my festival beauty and makeup must haves. You can read about my festival essentials here, however I felt the need to dedicate a blog post purely on my make up and beauty essentials. Dry shampoo is one of the most important beauty products to pack for a festival as you never know if and when you might be able to wash your hair over the weekend. I am in love with this one from Lush called No Drought, and I love that it adds extra volume and body to my hair as well as keeping it looking and smelling fresh. For extra volume and added texture to my hair I would also recommend a sea salt spray - I will be taking this one from My Little Beauty, from the My Little Box beauty collection. For my hands, my must haves are an anti-bacterial gel, I love this beautiful smelling one from Soap & Glory. I would also recommend which ever nail varnish you are wearing on your hands when you set off for the festival to keep all chips at bay. I am taking this beautiful white polish from Accessorize, a lovely summery/festival inspired shade. My make up must haves are a few key and basic products that will provide the foundation to my make up collection. 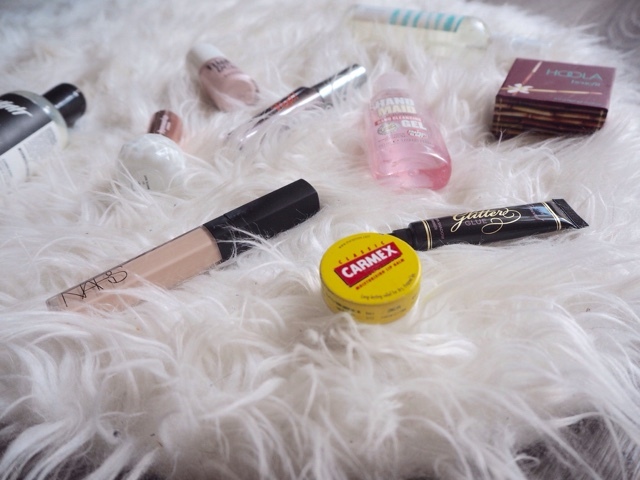 Although I will probably take more - these are my essential make up products. Benefit Cosmetics Hoola Bronzer to provide colour and definition, They're Real Mascara to open up my eyes, High Bean Highlighter to add a pretty finish to my cheekbones, Nars Creamy Concealer for under my eyes to keep dark circles at bay, Too Faced Glitter Glue to ensure that my festival glitter make up stays on point and finally a good old pot of Carmex to hydrate and care for my lips. 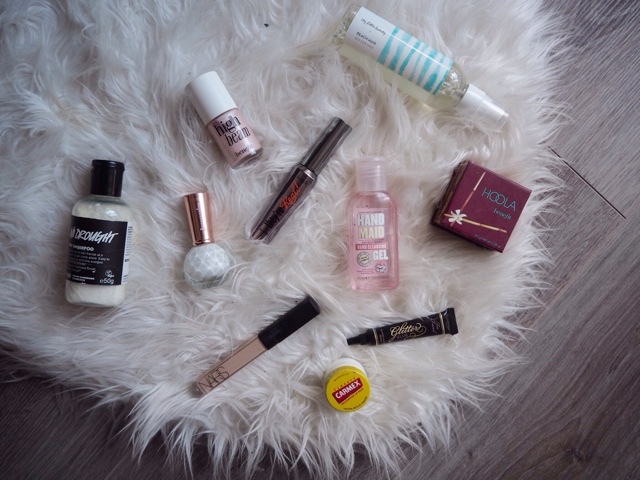 What are your festival beauty must haves?